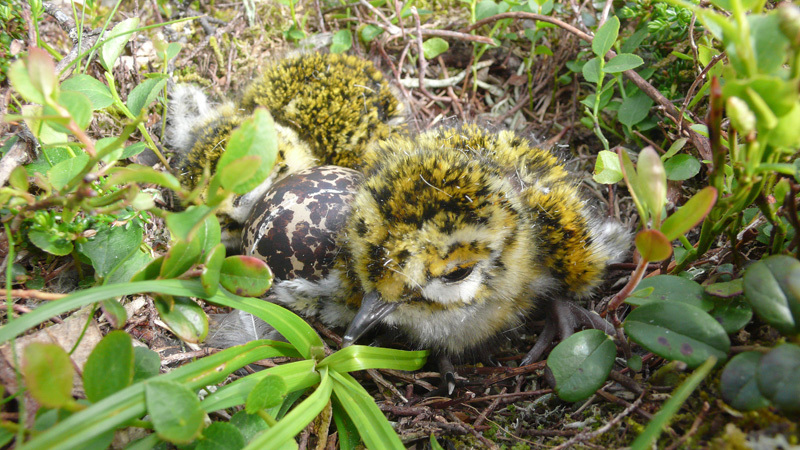 With the longest incubation period of all waders we study, Golden Plover chicks, after around 28 days, finally hatched! Luck so far has been dismal with hatching, but still will be some survivors of this breeding season 2012, but not enough to do telemetry with them this year. 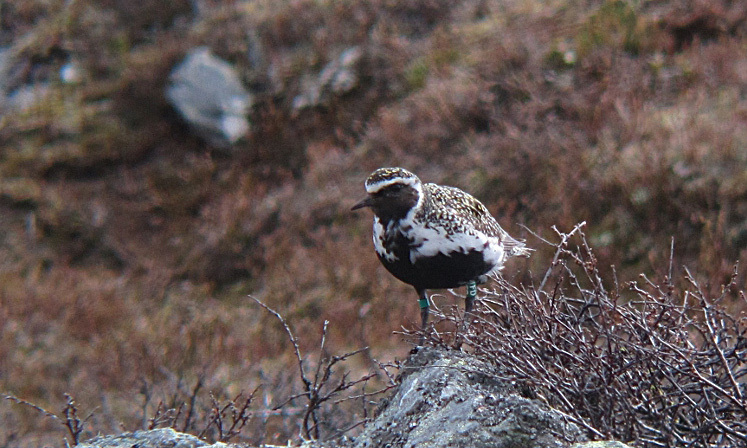 After around 30 days living on the tundra feeding on small arthropods and berries, Golden Plover chicks will be probably also the last ones to fledge and depart from the breeding grounds. 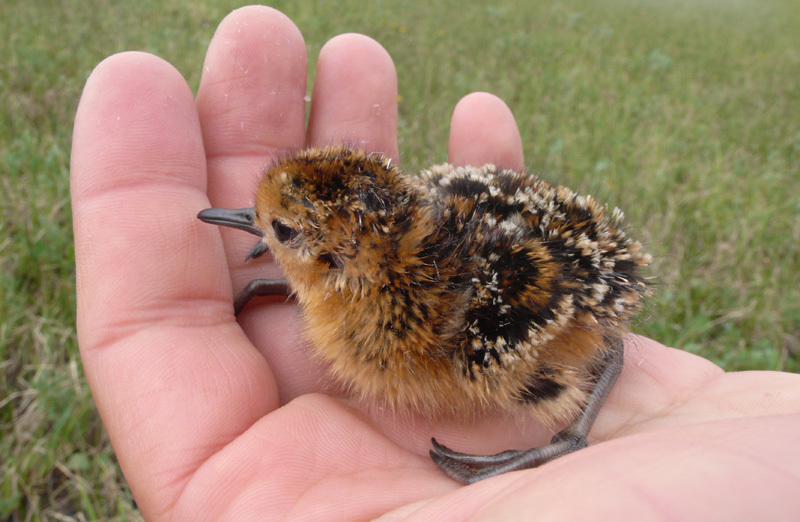 During the first days after hatching, adult waders will brood their Young until they can thermoregulate. In the case of Golden Plovers, both the male and the female share these task, but after around two-three weeks just males will protect and stay together will the chicks until fledging. This year we were very lucky to observe brooding waders and we would like to share it with you here. Today, Paula and Juan are going back home. Johannes and Dafne will stay 10 days more to monitor the last few active nests that remain. 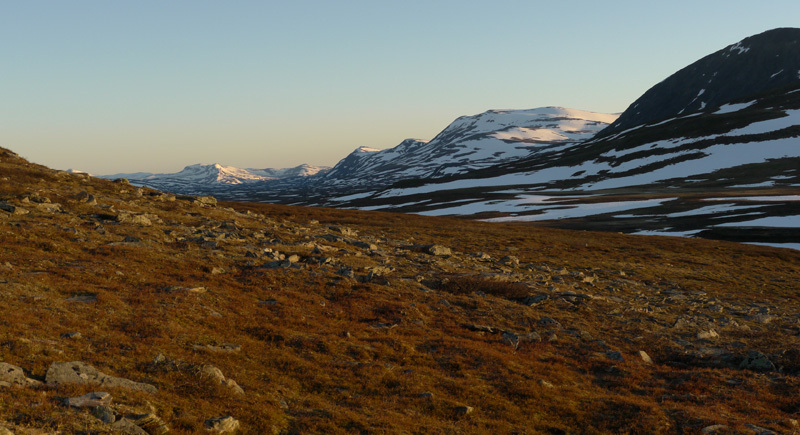 It has been a very challenging field work season where we have faced the incredibly variable tundra ecosystem. Thanks all of you for following the blog and your encourage comments. We will see us back next year hoping for a better breeding season 2013! New life on the tundra! We are in luck..! 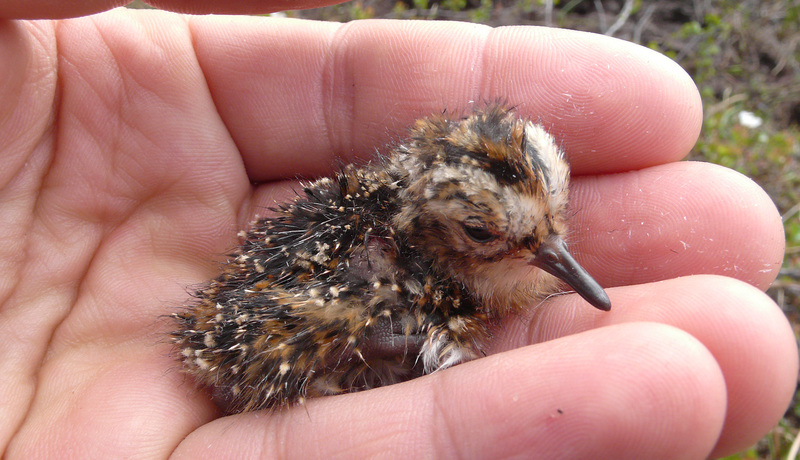 More than two weeks later than last year, on the 10th of July we had the first wader hatchlings overthetreeline! Some wader nests have survived until hatching in this odd breeding season with a very high predation pressure. 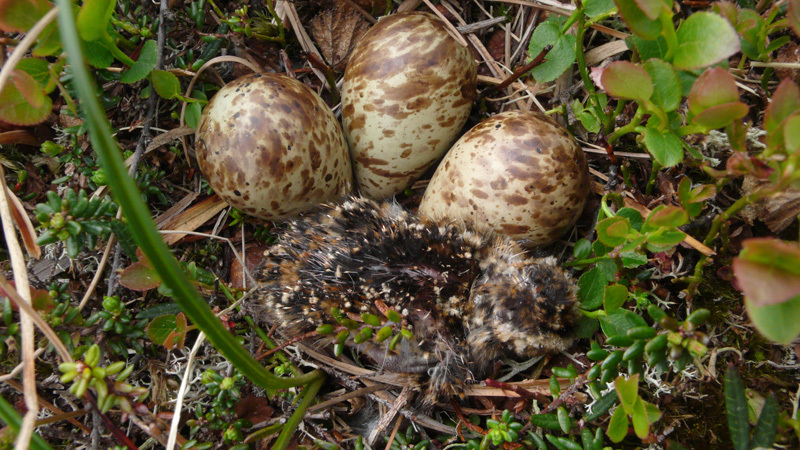 The first wader hatchlings on the tundra have been a clutch of four Ruff and a Dunlin nest where just one hatched at the time of the visit, with still three eggs more about to hatch in the next few hours. Still some nests are hopefully hatching in the next days or weeks. 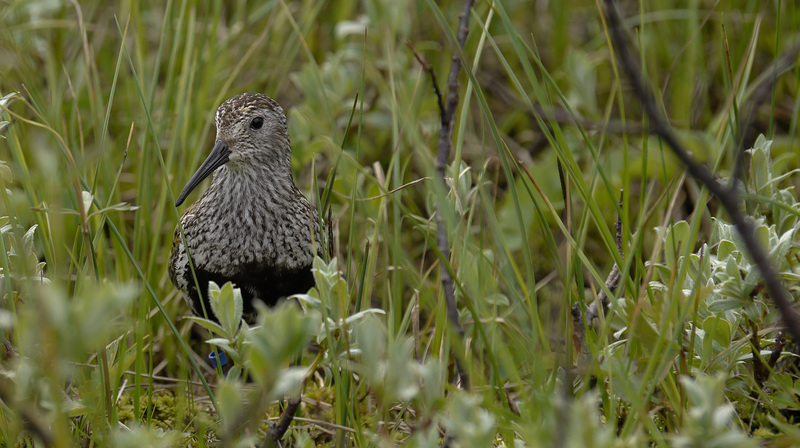 Tiny surface-living arthropods are the main food resource for wader chicks on the tundra. In these last days we are having the peak of arthropod abundance, matching perfectly with the first hatchings, but how long will it last this late season?, will be enough food left for the last hachlings? and will they have time to fledge before the first snow fall?. This year more than others they have a very tight schedule. In phalaropes, the females leave the area just after laying the eggs – leaving the male behind to take care of the brood. Therefore, we only capture males…They are often very tame, as shown by this individual that was happily keeping its eggs incubated while we were watching it from only two meters! A very tame male keeping its eggs warm. Yesterday, we went up to Gelmetje to capture Red-necked Phalaropes. We caught four individuals in total, of which the last bird had a big surprise in store: it was already wearing a ring! Checking the ringing forms of earlier years, it turned out to have been ringed as a tiny chick (weighing less than 5 grams) last year in the same area. Now, it was a fully grown male, breeding its own eggs! This male Red-necked Phalarope was ringed last year as a chick! So, this tough little bird was back home again. I (Rob) will be back home in about a week – I will start my southward migration today. Hope you have been enjoying the blog, and hope to see you next year at the Overthetreeline blog! First logger in the hand! After one month of intense field work looking for Golden plover nests of individuals with geolocator, we finally got the first one back..! This tiny unit has been attached to a colour-ring of the bird for a year and will give us information about migration patterns in the non-breeding season. 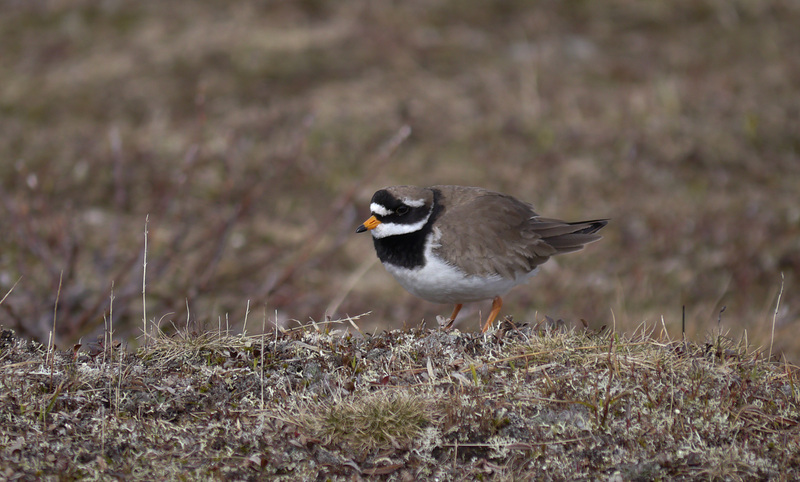 Due most probably to the late snow melt, fewer waders finally seem to breed this year in Raurejaure area making it more difficult to find nests of colour-ringed Golden Plovers with light-loggers. The ones that decided to breed have a very high predation rate on their nests forcing us to find them before they get predated and have the chance of retrapping to retrieve the valuable logger. This has become a true race between predators and us, who will finally win..? One of the firsts posts, from 3 June, reported a few sightings of colour-ringed Golden Plovers. Since then, we have searched the study areas intensively for returning individuals, recognizable by colour-rings and/or geolocators. 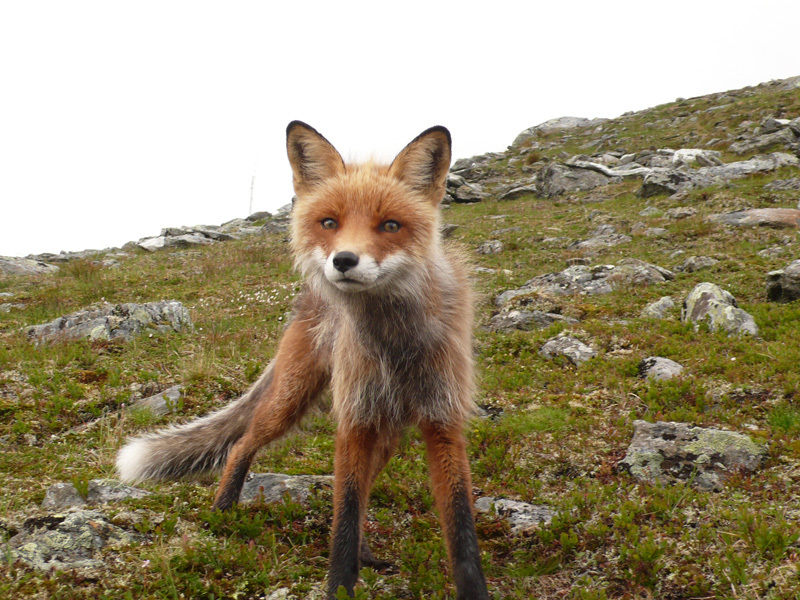 Resightings of individuals provide information on, for example, survival rates and site tenacity. In the case of birds ringed as chicks, it also shows natal philopatry – a term for the return of individuals to (the vicinity of) their birthplace. 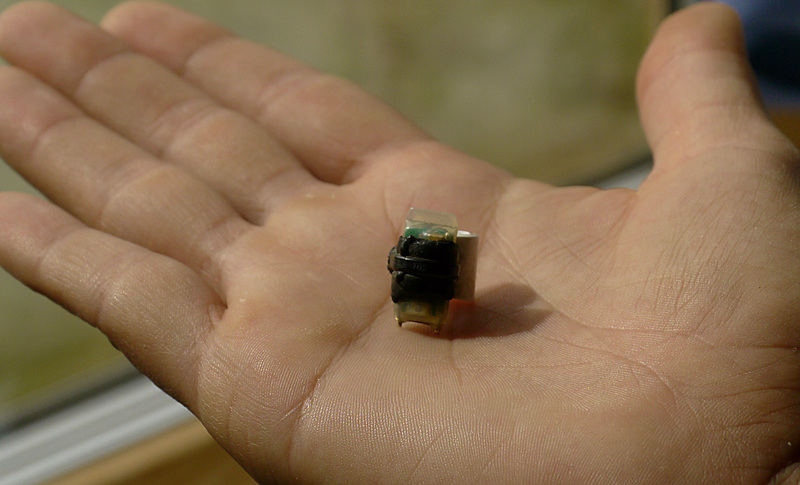 We are of course particularly interested in all individuals equipped with geolocators, as the data stored in these tiny devices will show us their whereabouts during the non-breeding season… To read the data however, we have to retrap them – but they need to be relocated first! Previous years, we not only colour-ringed Golden Plovers, but also Dunlins and Long-tailed Skuas. 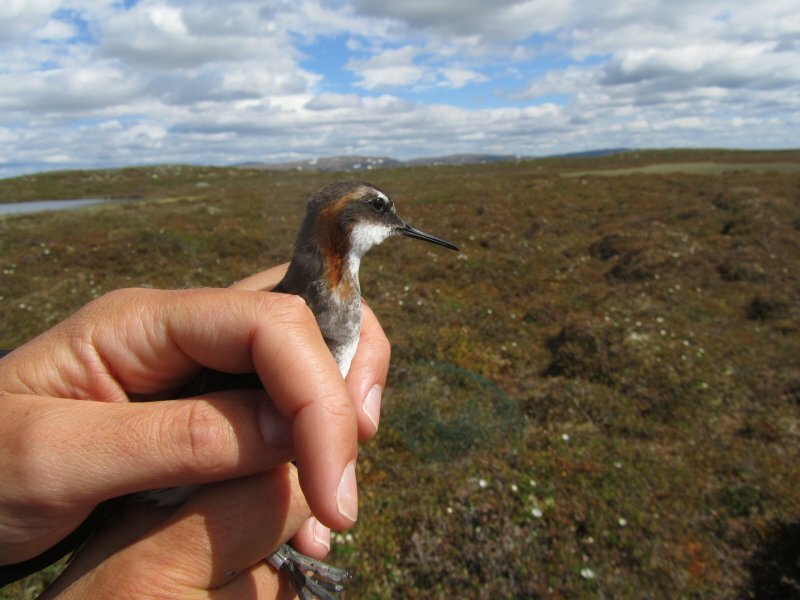 Furthermore, Golden Plovers, Long-tailed Skuas and a few Red-necked Phalaropes were equipped with geolocators. Until now, more than 20 Golden Plovers ringed as adults have been seen this season, most of them breeding in the same territory as last year. Also, several Dunlins have been resighted, but not all of the ringed individuals. 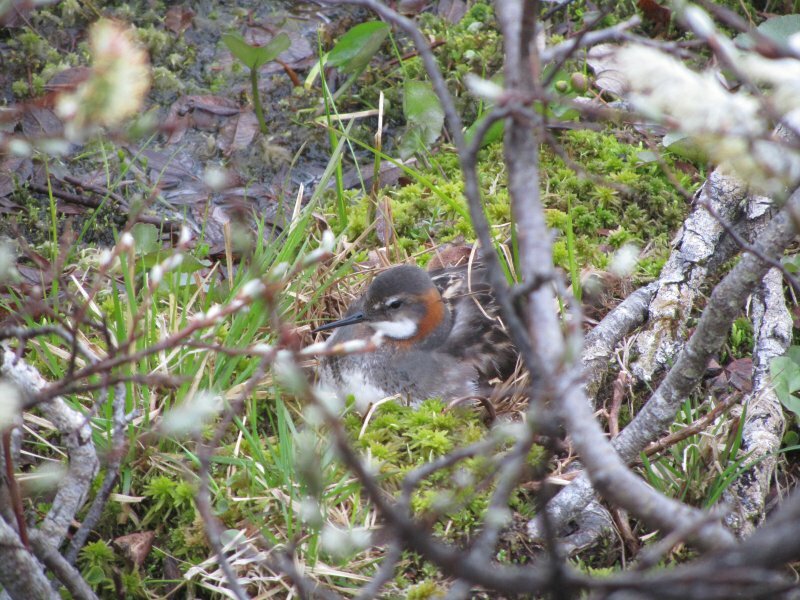 Due to the late snow-melt this year, we had to wait a long for the Red-necked Phalaropes to start breeding activities up on the tundra. Only since the last few days we have been able to search for them, which has not produced any resightings (yet!). Hopefully, we can report the return of these birds in the next week! One of the resighted colour-ringed Long-tailed Skuas. Being a non-breeding year for Long-tailed Skuas, this season is rather problematic when it comes to resighting of this species. Nevertheless, six colour-ringed adults and the old metal-ringed bird (see the blogpost from 11 June) have been resighted, most of them within their previous years’ territory. 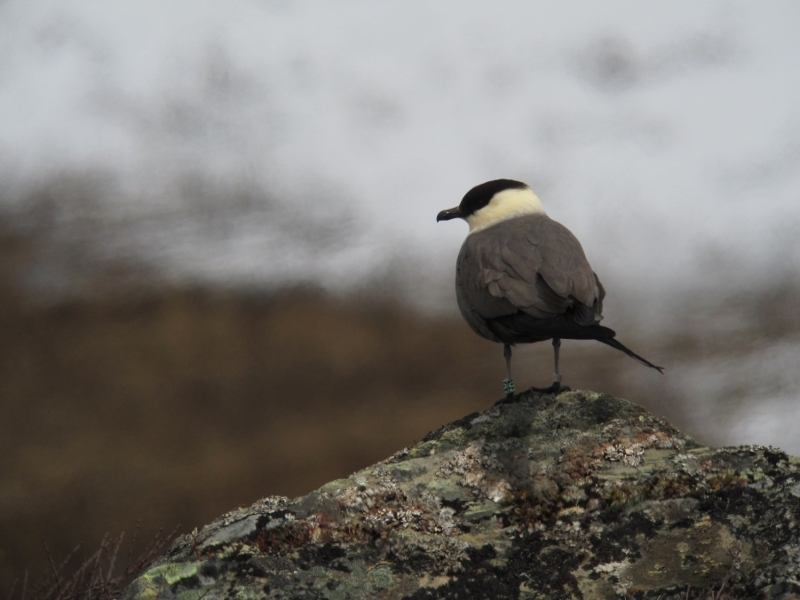 Although it seems that virtually all Long-tailed Skuas have left the study areas, there are still occasional sightings of flocks roaming over the tundra. We will keep our eyes open for any colour-ringed birds! 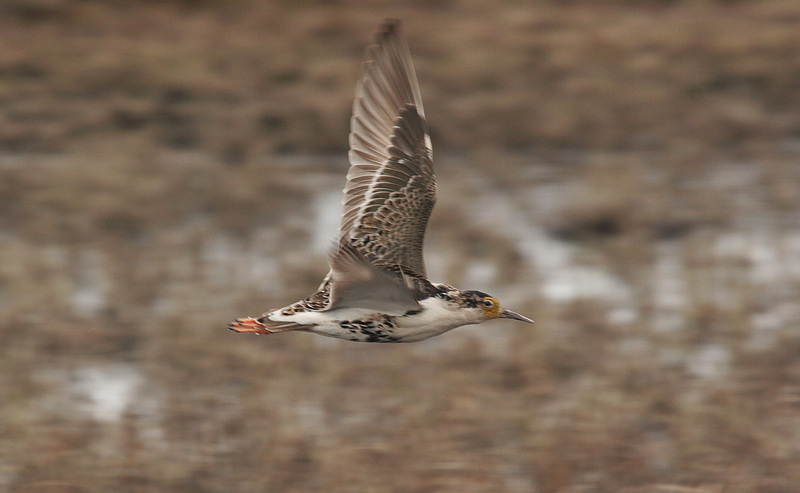 Snow cover has been reduced to 50% in many parts of the study areas and finally waders seem to start breeding. 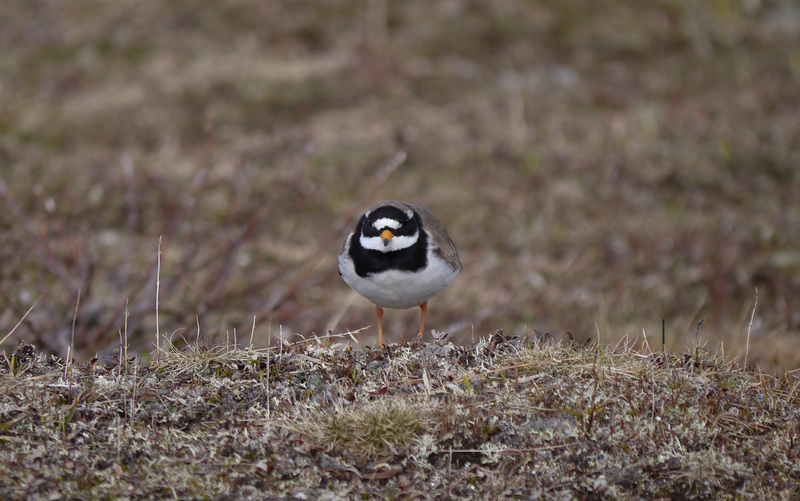 However, the still high snow cover in some parts force waders to nest on small snow-free patches making it easier for predators to detect them giving rise to a very high predation rate on nests. The high number of predators around make it even more difficult to find nests before they get predated. Large number of Red fox (Vulpes vulpes) tracks and droppings but also the observation of several individuals hanging around the area, Wolverine (Gulo gulo) tracks, the encounter with a Stoat (Mustela erminea) and many of their winter nests found, recognized by the skins and underfur of the rodents they kill, in a no-lemming year like this, make predators have mainly one target: nests! 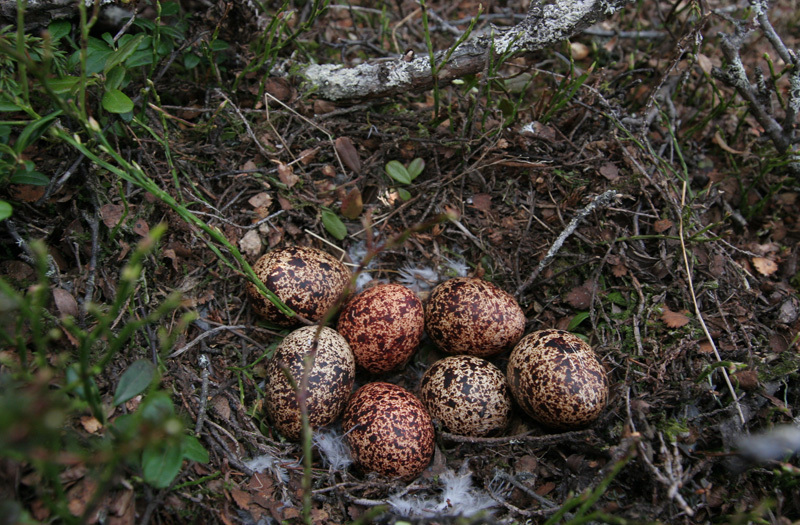 Mainly Golden Plover nests have been found so far but also other species nests aswell. 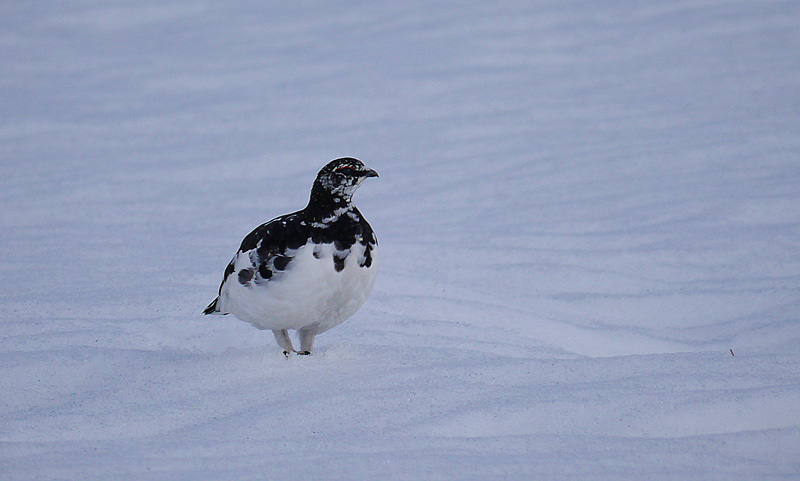 For the first time since we are coming here in 2008, we have found two Ptarmigan nests, one of a Willow Ptarmigan (Lagopus lagopus) and another of a Rock Ptarmigan (Lagopus muta). We have seen many individuals around in previous years in the study areas and also chicks but never found a nest before! Also Temminck´s stint (Calidris temminckii), Redshank (Tringa totanus), Ruff (Philomachus pugnax) and Dunlin (Calidris alpina) nests have been found so far but few with a complete clutch. As soon as snow melt, snow-free patches are progressively used for nesting. 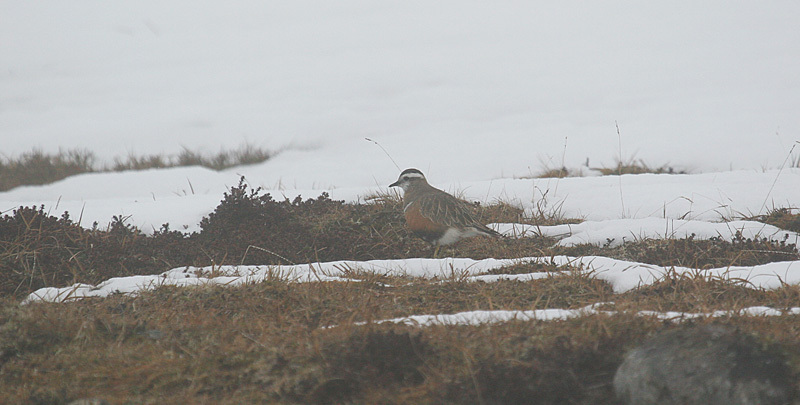 Dotterels and Ringed Plovers are also seen in the study areas but few nests have been found in previous years. Maybe their anti-predator tactics that use against us for finding their nests also work with other ground-living predators.